Valentine just round the corner, every guy must be brainstorming to get a gift that is not only special, but also out of the box imaginative and really shows the sentiments. Mattlook is proud to announce a stunning collection of makeup range for Valentine’s Day. 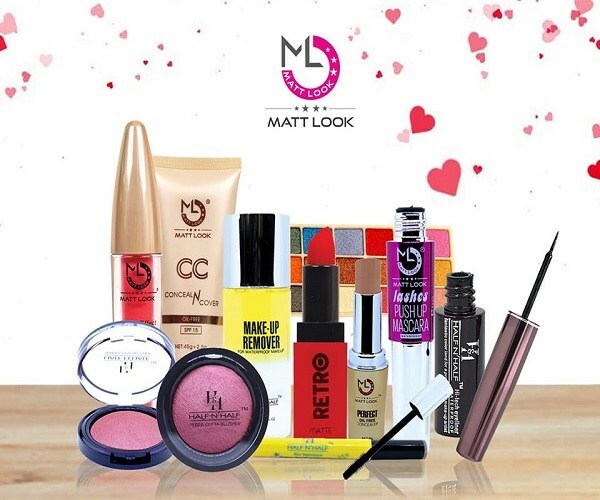 Mattlook has added some love factor with beautiful beauty hampers available on Flipkart & Amazon as well as From makeup kits and more, the beauty hampers are a great gift for any girl and definitely more indulgent. This incredible all inclusive range incorporates collection of 5 Products which includes Oil control Matte &Whitening Compact powder Retro Matte Lipstick, HD Pro Full cover concealer with primer, Matte effect 3D Lip Gloss ,Eye shadow swatch. Mattlook packaging is elegant enough to be featured. Mattlook products make memorable gifts for your Valentine day. ALSO READ: Have A Used Phone? Get Cash For It! Yashu Jain, Managing Director, Mattlook commenting on the new Valentine range said, Along with being a form of expression, cosmetic has always been a way for people to showcase their own unique style and enhance their self-confidence. So Mattlook offers to those who desire the high end luxury but cannot pay the high price. We have been successful in striking a perfect product price balance and without compromising on quality so that everybody has an access to quality fashion. Keeping pace with the fashion trend and quality MATTLOOK is carving is its own niche today. MATTLOOK Cosmetics, a subsidiary of Little Profit Trading Company, was formed in 2017. It aims to keep the country at the forefront with the latest cosmetic trend and at an affordable price. Taking the legacy forward, MATTLOOK Cosmetics is brainchild of Sonal Jain and his son Yashu Jain. Although the family has been into the cosmetics business for over 35 years, the young leaders are now taking the baton forward keeping abreast with the new fashion trends and evolving needs. 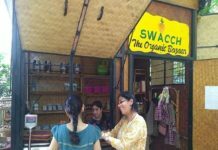 In a short span, the brand acceptance is good especially with housewives, students, college & office going girls. As a young and an energetic entrepreneur, MATTLOOK firmly believes in striking a perfect product price balance and without compromising on quality so that everybody has an access to quality fashion; also in the recent past the brand has been successful in changing the concept of cosmetic picking from high end and expensive brands.